The evidence is scattered accross various games, articles and interviews, so it may only make sense when the pieces are put together. Let’s start with the Portal-Half-Life connection. Aperture Science and Black Mesa competed for research funding, which lead to increasingly madder science. It also lead to corporate spying. 1. Black Mesa and Aperture Science spied on each other. By suggesting a long-term rivalry between Aperture Science and Black Mesa, we open up possibilities in both games that didn’t exist when they were separate entities. With all this evidence hinting at the existence of double agents, where are these characters? 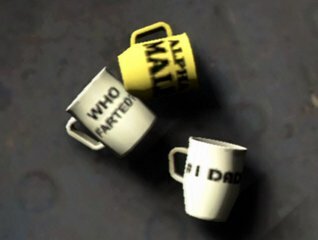 Where are the scientists that worked for both Black Mesa and Aperture Science? 2. We are never actually told how Azian Vance died. That picture [of Azian] and Alyx were all I managed to carry out of Black Mesa. Why does he go to to the trouble of salvaging a photograph of his wife during the disaster? A possible answer: She was already dead and the photo is all he had left. To expand on that: She died when GLaDOS was activated, because she was at Aperture, because she was a double agent. 1998 – The untested AI is activated for the first time as one of the planned activities on Aperture’s first annual bring-your-daughter-to-work day. In many ways, the initial test goes well: Within one picosecond of being switched on, GLaDOS becomes self-aware. 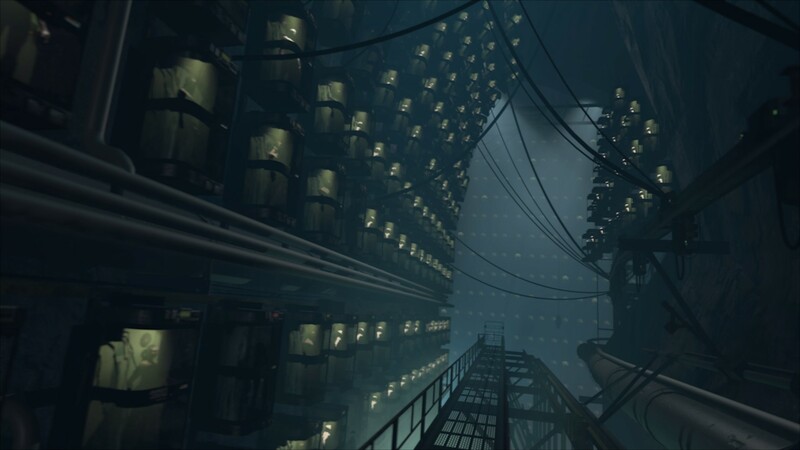 The “going well” phase lasts for two more picoseconds, at which point GLaDOS takes control of the facility, locks everyone inside, and begins a permanent cycle of testing. Her goal: beat the hated Black Mesa in the race to develop a functioning portal technology. Days later, that race is lost when Black Mesa successfully deploys an interdimensional gate through which an alien race emerges and effectively ends the outside world. This tells us that the Aperture disaster happened days before Black Mesa’s. Eli would probably have only just learned that a rogue AI killed everyone inside the Aperture facilities, including his wife. 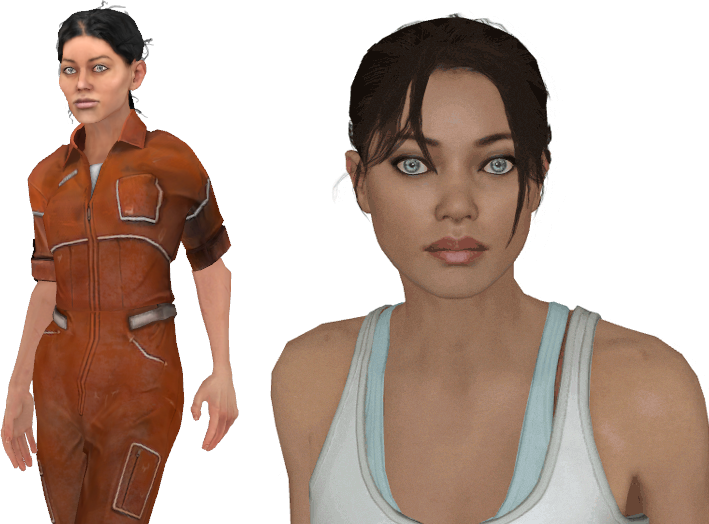 This also tells us a little bit more about Chell. We knew that Chell was present at the bring-your-daughter-to-work event, and that she was child-aged. Now we know that was also the day GLaDOS “adopted” her. Which suggests she has an East Asian parent. She has blue eyes, and blue eyes are a recessive trait. It’s extremely rare for an Asian dad and a blue-eyed mom to have a blue-eyed baby. 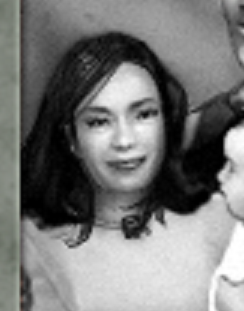 This suggests Chell’s mother is likely the Asian parent and the father the blue-eyed Caucasian parent. If this is true, it makes it possible for Azian to be both the mother of Alyx, and Chell, from a previous relationship. Eli: [The Borealis] should have been lost forever. Kleiner: Ah, but now that we’ve found it, we can use it against the Combine! Eli: Use it? That thing has to be destroyed! Kleiner: But think of the advantage for humanity! We can’t simply waste all that potential. Eli: Hasn’t Black Mesa taught you anything? There’s no controlling that kind of power! Eli’s uncharacteristically visceral reaction in Episode 2 could be better explained if someone close to him had intimate knowledge of the mad science of Aperture. If he hadn’t such a connection to Aperture, he would have likely agreed with Kleiner. His reaction could also be due to having lost his wife and stepdaughter when GLaDOS went rogue. 3. But who is Chell’s father? Why is it his fault? There is no plausible reason for Rattman to continuously risk himself for Chell’s survival in particular, when it’s already been established GLaDOS is hoarding thousands of other test subjects. He must have known and cared for her before GLaDOS’ takeover. And since Chell was a child at that point, it would be plausible to suggest he cares because he’s her parent. Just want to show you that Valve Software is the only company that is actually listening to the deaf community and try to blend in a deaf character in the game, possibly in Episode 3. He talks about it briefly in the second clip, so it sounds like maybe an idea that the he or the writers are working on is a deaf character/crush in Alyx’s backstory that influenced her and DOG to learn how to sign as a way of communicating around enemies without speaking. That would be fun to see how that worked into the story, and how the characters would act it out during the game. You know what my days used to be like? I just tested. Nobody murdered me, or put me in a potato, or fed me to birds. I had a pretty good life. But then you showed up. You dangerous, mute, lunatic. So you know what? You win. Just go. Do you understand what I’m saying? At all? Does any of this make any sense? Just tell me, ‘Yes’. Okay. What you’re doing there is jumping. You just… you just jumped. But nevermind. Say ‘Apple’. ‘Aaaapple.’ Okay, you know what? That’s close enough. Just hold tight. If you are alive, can you say something? Jump around so I know you are OK! You alright down there? Can you hear me? Hello? Eric Wolpaw has said that Chell is ‘probably’ capable of speaking but that she chooses not to, though he did not confirm this for sure. Reynoldson Productions: Portal is obviously in the same universe as Half-Life, and I’ve been contacted by a bunch of my friends and a bunch of people on the Internet that really want me to ask you if Gordon Freeman and Chell will ever meet in any future games, or if that’s even a thought. Gabe Newell: When you’re thinking about games, you sorta want to think about how characters collide. In their current forms, Chell and Gordon are very similar characters in terms of phenomelogy of experience. So obviously that is not what people are thinking, having these people co-exist in the same time and at the same place. 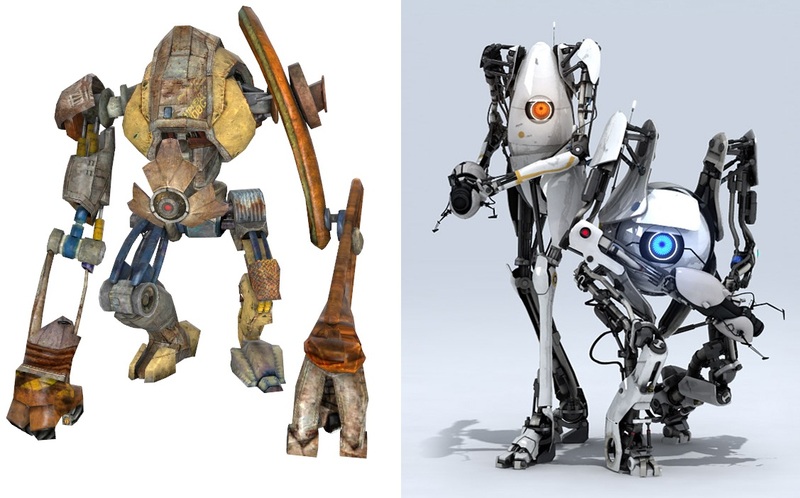 That’s part of the reason Portal and Half-Life are in the same universe. We see opportunities there. How people would respond to those people not being the player themselves, but in fact characters in the world, that would be a pretty interesting challenge for us. But it’s up to us as designers and storytellers to think how that would work. But right now, they’re actually the player, so having you encounter yourself is obviously not what people are thinking of when they’re thinking of Chell. Actually, I’m curious how Chell and Alyx would get along, given how I think of those two characters and what it would mean in these worlds, what would happen if those two characters encountered each other. Because I don’t think they’d get along, at first. The last sentence suggests that the animosity could be due to baggage. Perhaps Alyx and Eli think Chell died along with Azian. Chell’s sudden reappearance in Half-Life 3 would no doubt stir negative emotions considering Alyx’s father has just died. As of the events of Half-Life 2, Eli and Alyx think Chell is dead. This theory is not incompatible with the one that suggests Caroline is Chell’s mother. While it means she can’t have been her biological mother, GLaDOS still saved Chell while she killed most other people in the facility. She is still her adoptive mother. It is incompatible, however, with the other theory that Doug Rattman was Chell’s lover prior to her becoming a test subject. Or so one would hope. Xen is a literature graduate and videogame writer. She runs several gaming communities and is the author of the upcoming book "Videogame Narrative and Character Living Spaces." 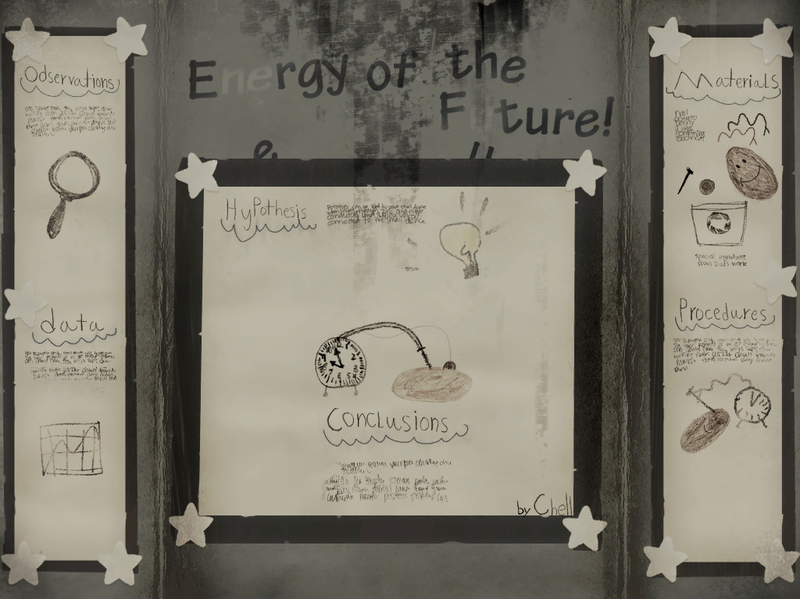 This theory is more retarded than the Chell being Cave Johnson’s and/or Caroline’s daughter theory. I started believing that this theory had no basis whatsoever but as I was reading dawned on me that it fits perfectly. It also responds to the Easter egg Portal 2 bring your child to work. One of the potato battery has Chell name , and another has name Alix … if she was just a girl makes sense to write Alix instead of Alyx . Alyx this could locate in Aperture. So … I was doing alix in Aperture sience ? Empece creyendo que esa teoría no tenia fundamento alguno pero a medida que fui leyendo me fui dando cuenta de que encaja a la perfección. 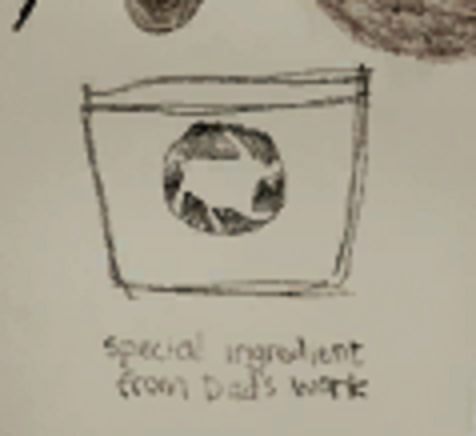 Eso también responde al Easter egg de portal 2 de trae a tu hijo al trabajo. Una de las patatas baterías tiene nombre de Chell, y otra tiene nombre de Alix… si ella era apenas una niña tiene sentido que escriba alix en lugar de Alyx. esto podría ubicar a Alyx en Aperture. Entonces… que estaba haciendo alix en Aperture ciencia? Have to admit I’m not as up-to-snuff on my Half-Life knowledge as I am my Portal knowledge, but I will say this: the reason Rattmann risked himself for Chell is not because he’s related to her, but because he knew she was capable of taking down GLaDOS because of her tenacity. That was kindof the whole “punch line” of the Lab Rat comic: the Companion Cube asks Rattmann why he chose Chell out of all the other test subjects, and Rattmann replies that he has a “hunch,” which is revealed to be a lie at the end when we see Chell’s file talking about her tenacity and how she was not meant to be tested in the first place. There’s also the fact that he was the one who put Chell up against GLaDOS, so the fact that she was knocked out, recaptured, and put back into a non-powered storage unit was, in a way, his fault. As for some of the other points… I think most of the stuff written about Aperture’s history prior to the release of Portal 2 has been retconned. 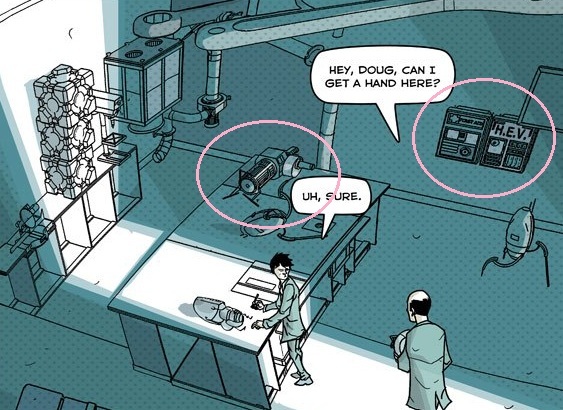 We know that GLaDOS didn’t take full control of Aperture as soon as she was activated–that clashes with the Lab Rat comic. GLaDOS was reactivated multiple times and tried to kill everyone each time, which is why they leashed her with cores. I don’t have much to say to the other points, other than I’m not fully sure what the significance of having Chell being related to Alyx would be. An interesting idea, but would it really add to the story?